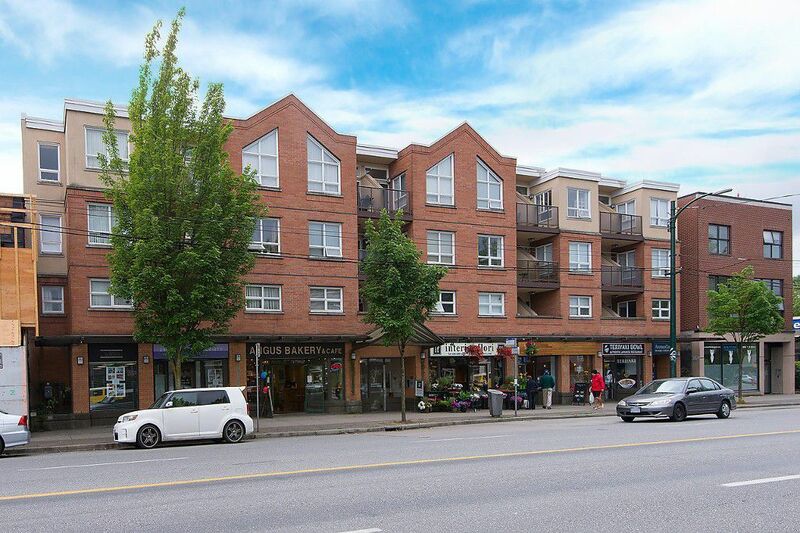 Original Owner, 2 bedroom quiet South facing condo with enormous 2 floor balcony. Living room with gas fireplace & sliding glass doors to balcony. Attractive open floorplan with spacious kitchen, pantry & washer/dryer. Underground parking,bike storage and locker. A great central location & rainscreened building (2005).